A brand new festival has been launched with organisers keen to alert potential revellers that Aviemore “is still very much open for business”. The inaugural Aviemore Big Mix Festival is to take place over three days in September, showcasing the region’s best food, drink, arts and crafts. The announcement comes at a time where the nearby popular Cairngorm Ski Centre has suffered a disastrous year with access to the prime skiing area hindered by problems relating to its funicular railway. Visitors will have the opportunity to sample food and drink and meet with the producers and crafters who are based in the area, with a live music programme will also be staged over the course of the weekend. 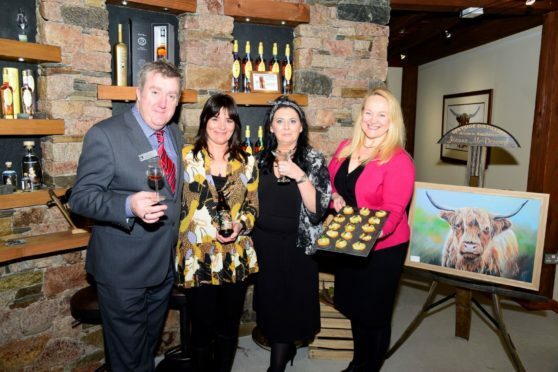 Patricia Dillon, managing director of Speyside Distillery, one of the festival developers, said: “The Aviemore Big Mix Festival will deliver a boost to the local community after a series of blows to its tourism industry – and show that Aviemore is still very much open for business. “The closure of the funicular railway has been disappointing, but here in Aviemore we’re very adaptable and want to get the message out that there is so much more in this wonderful area than snowsports. “We have some of the very best award-winning food and drink producers in Scotland right on our doorstep, along with a thriving and skilled arts and crafts community. Bringing them together for The Aviemore Big Mix Festival seemed a natural thing to do. “The Cairngorms provide a stunning backdrop and in Aviemore we have an accessible, welcoming and friendly location which is geared up to accommodate both day trippers and visitors looking to make a weekend of it. Various events are to be held at venues across Aviemore from Friday 20 September to Sunday 22 September, with the showcase event to be held in the heart of the Highland town on the village green. John McDonough, chief executive of Speyside Distillery added: “People are incredibly interested in food and drink, but more than that, they want to learn the story behind the brand and meet the people who are involved in the production. Tickets for the event go on sale on Monday 29 April, with further updates to be shared on the events social media accounts.